Join Rhonda Fritzshall of Equine Assisted Healing, Nongae Johnson of Tara Farm and Heather Berg of Soul Garden Yoga for a morning to practice presence. Sometimes we need time outside of our regular routine to remind ourselves that our true self lies within present awareness. Horses are able to live in the now and have an unbelievable ability to reflect our internal experience in a way that allows us to grow and learn about ourselves. Horses relate with people in a very raw and honest manner, completely attuned in the moment. Rhonda, who is an EAGALA* certified Equine professional and Nongae a PATH INTL** Certified Equine Specialist in Mental Health and Learning have combined their passion and experience with horses and recovery from addiction to create healing through equine therapy. They have helped thousands of clients. Heather is an E-RYT (Registered Yoga Teacher). Her passion is to share her enthusiasm of yoga and to create a positive experience for her students. Heather’s approach is to meet the needs of the individuals as well as to teach at a deeper level beyond the postures. She is mostly interested in teaching others to be discerning practitioners who can then integrate information for themselves. This way, her students will truly learn to practice yoga as a way of life that breathes differently in every body. The morning will begin with a meditation and yin yoga practice under a canopy lead by Heather. Then, Rhonda and Nongae will guide us through an equine facilitated experience (non-mounted) learning about ourselves so we can move towards inner peace, confidence, and strength. No experience with horses or yoga is required. 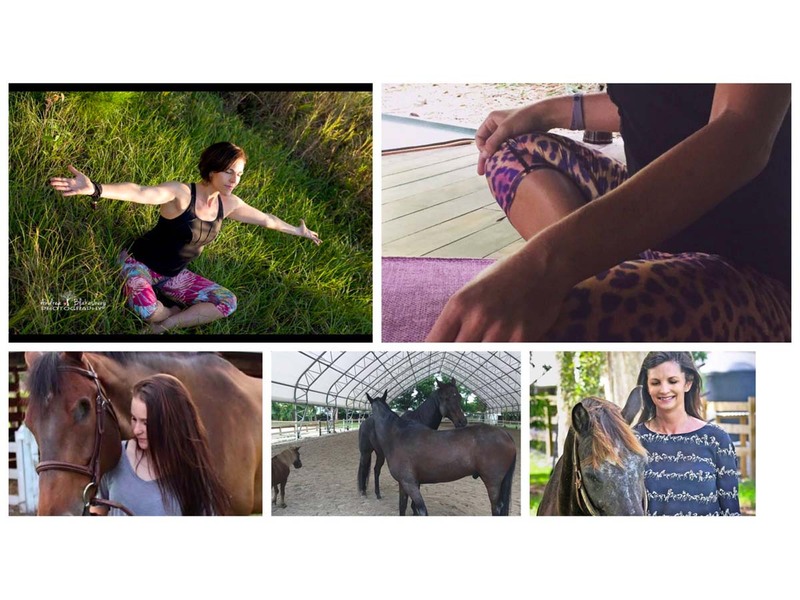 Wear comfortable yoga attire and closed shoes for equine portion. Bring yoga mat. Water and light snacks provided. Minimum age 14yr. Limited to 12 participants. * Founded in 1999, the Equine Assisted Growth and Learning Association (Eagala) is the leading international nonprofit association for professionals incorporating horses to address mental health and personal development needs.